Cynthia, a lifelong resident of Marietta, is a highly trained Dental Assistant who brings over 35 years of experience to Dr. Hutson's practice. Her greatest fulfillment comes from the educating the patients on their oral health. She always looks forward to a new day of exceeding the patients’ expectations regarding their welfare with Dr. Hutson. She is married, has kids and loves most sports and the outdoors. Vickie, a native of Georgia, is a highly trained Dental and Office Assistant who brings over 25 years of experience in the dental field. She's a wife, mother and very proud grandmother. I joined Dr. Hutson's team in November 2016, and absolutely love my work family. I graduated dental hygiene school in 2013 and have enjoyed helping people so much. It puts a smile on my face, when I can turn around bad habits and partner my patients to get them to optimal health. I grew up in Cartersville, GA and still reside there. I have a daughter that is in nursing school. In my spare time I like to go to the beach, shopping and spending time with my family and friends. I like to stay positive and enjoy each day to the fullest. 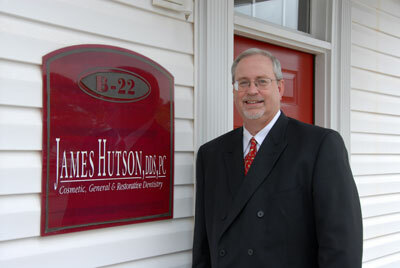 I am a native of Woodstock, GA, and have been working front office in the dental field since 2002. I love to take good care of my patients and to provide the highest quality of service in a relaxing and caring environment. I have been married to my wonderful husband, Michael, for 16 years. We have two amazing, handsome boys, Colin and Connor. In my free time I enjoy spending time with family and friends, watching my boys play baseball, basketball and working in my yard.